In the past six weeks, the Supreme Court struck down California’s ban on gay marriage, Texas passed a law which will severely restrict a woman’s right to an abortion, George Zimmerman walked free after a highly controversial and publicized trial and Edward Snowden revealed that the concept of Big Brother is not quite as far-fetched as we may have thought. And as this increasingly contentious, and dare we say ‘colorful’ string of events has unraveled, we are reminded that our nation’s response to such controversies may play an even more impacting historical role than the events themselves. Chances are, in this day and age, much of our exposure to current events may come through second, third or even fourth-hand sources, whether it’s through internet and television media outlets or online social networks like Facebook and Twitter. With such constantly filtered information, one can lose sight of the real issue or even be swayed by a radical, and potentially inaccurate, perspective. But regardless of how we swallow the news we’re fed, or what parts of it we choose to chew, the greatest importance seems to lie in how we respond. In response to Texas’ recent passage of HB 2, a bill that essentially outlaws abortion in Texas, people have been organizing and protesting to overturn the bill and give the power of choice back to the women of the state. Through various “days of action,” planned lawsuits and voting drives, supporters of the pro-choice movement have demonstrated their refusal to simply accept the Senate’s ruling, and have done so in a manner that is effective while seemingly peaceful. In recent years, the peaceful and creative protesting of UC students, in opposition to growing tuition hikes, took the UC system down a path of negotiation between university and state officials with students, finally leading to halt to UC budget cuts through the passage of Proposition 30 last November. The success of peaceful civil action is nothing new. But as shown by recent national news, the peace of many can potentially be overshadowed by the violence of just a few. Even so, we see how civil civic involvement can almost feel like an oxymoron. Sometimes it seems like there is a small middle ground between ambivalence and obsession regarding political activism, as many remain politically apathetic while those on the other end of the spectrum are filling city streets with riots. Although Edward Snowden’s is a hyperbolic case, his commitment to informing the American people of what he saw as a violation of their human rights is an impressive demonstration of a refusal to simply accept the current state of affairs. Once again, it’s not our place to decide whether he is a hero or a traitor, but either way, his is an example of one voice that is changing the nation. Whether or not you’re paying attention, your life will inevitably be affected by the decisions being made in our current political and societal climate, so it’s time we rise up. Peacefully. Allyson Campion and Emile Nelson are on a hunger strike until they get at least one letter to the editor. They’re so hungry. 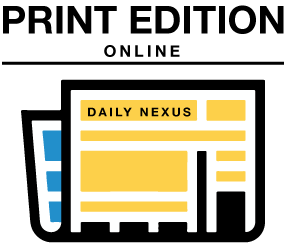 Email them at opinion@dailynexus.com. 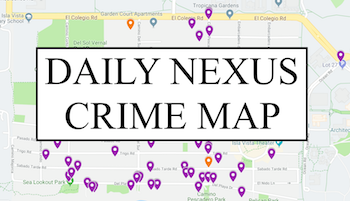 A version of this article appeared on page 6 of the July 17, 2013 print edition of the Daily Nexus.